Montreal, QC — An international research team led by Institute for research on exoplanets astrophysicist Lauren Weiss has discovered that exoplanets orbiting the same star tend to have similar sizes and a regular orbital spacing. This pattern, revealed by new W. M. Keck Observatory observations of planetary systems discovered by the Kepler Telescope, could suggest that most planetary systems have a different formation history than the solar system. The Kepler-11 planetary system is one of the multi-planet systems studied by Dr Weiss and her colleagues. Credits: NASA / Tim Pyle. 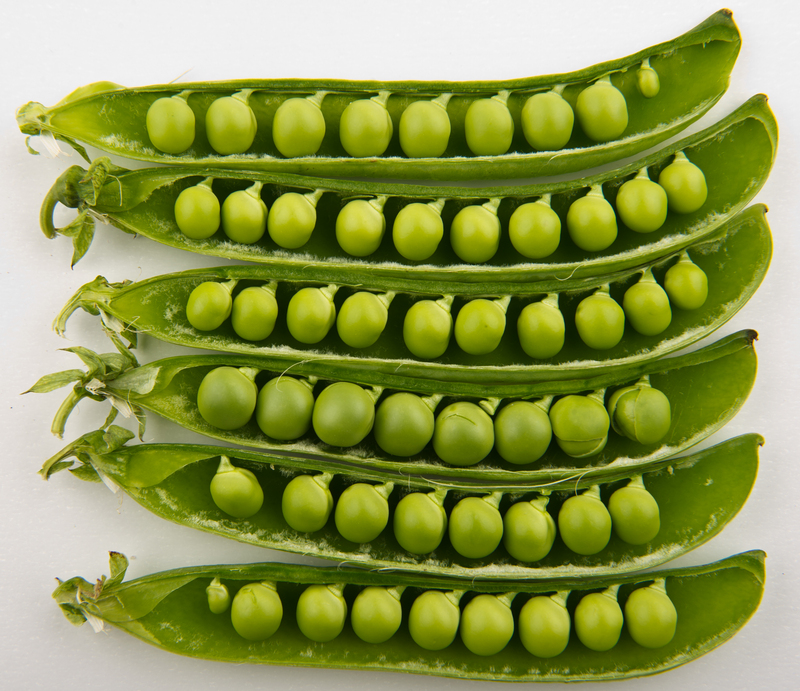 “The planets in a system tend to be the same size and regularly spaced, like peas in a pod. These patterns would not occur if the planet sizes or spacings were drawn at random.” explains Weiss. The similar sizes and orbital spacing of planets have implications for how most planetary systems form. In classic planet formation theory, planets form in the protoplanetary disk that surrounds a newly formed star. 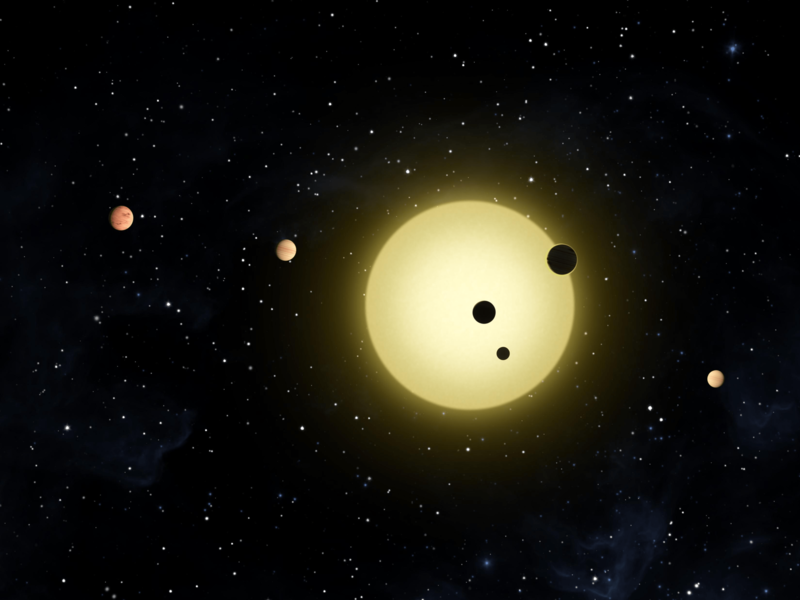 The planets might form in compact configurations with similar sizes and a regular orbital spacing, in a manner similar to the newly observed pattern in exoplanetary systems. However, in our solar system, the inner planets have surprisingly large spacing and diverse sizes. Abundant evidence in the solar system suggests that Jupiter and Saturn disrupted our system’s early structure, resulting in the four widely-spaced terrestrial planets we have today. That planets in most systems are still similarly sized and regularly spaced suggests that perhaps they have been mostly undisturbed since their formation. To test that hypothesis, Weiss is conducting a new study at the Keck Observatory to search for Jupiter analogs around Kepler’s multi-planet systems. The planetary systems studied by Weiss and her team have multiple planets quite close to their star. Because of the limited duration of the Kepler Mission, little is known about what kind of planets, if any, exist at larger orbital distances around these systems. They hope to test how the presence or absence of Jupiter-like planets at large orbital distances relate to patterns in the inner planetary systems. The article “The California-Kepler Survey V. Peas in a Pod: Planets in a Kepler Multi-planet System are Similar in Size and Regularly Spaced” is published in The Astronomical Journal. It was funded by the Trottier Family Foundation. In addition to Lauren M. Weiss (Institute for research on exoplanets iREx, Université de Montréal), the team includes Benjamin J. Fulton (Caltech, University of Hawaii), Erik A. Petigura (Caltech), Andrew W. Howard (Caltech), Howard Isaacson (UC Berkeley), Geoffrey W. Marcy (UC Berkeley), Phillip A. Cargile (Harvard), Leslie Hebb (Hobart and William Smith Colleges), Timothy D. Morton (Princeton), Evan Sinukoff (University of Hawaii, Caltech), Ian J. M. Crossfield (University of California, Santa Cruz) and Lea A. Hirsch (Caltech). The Institute for research on exoplanets (iREx) of Université de Montréal brings together top researchers and their students so as to benefit as much as possible from major current and upcoming observation projects, with the ultimate goal of finding life elsewhere. The Institute is devoted to exploring new worlds and seeking life on other planets. Some of the data presented herein were obtained at W. M. Keck Observatory, which is a private 501(c) 3 non-profit organization operated as a scientific partnership among the California Institute of Technology, the University of California, and the National Aeronautics and Space Administration. The Observatory was made possible by the generous financial support of the W. M. Keck Foundation. The authors wish to recognize and acknowledge the very significant cultural role and reverence that the summit of Maunakea has always had within the indigenous Hawaiian community. We are most fortunate to have the opportunity to conduct observations from this mountain. Ames manages the Kepler and K2 missions for NASA’s Science Mission Directorate. NASA’s Jet Propulsion Laboratory in Pasadena, California, managed Kepler mission development. Ball Aerospace & Technologies Corp. operates the flight system with support from the Laboratory for Atmospheric and Space Physics at the University of Colorado in Boulder.